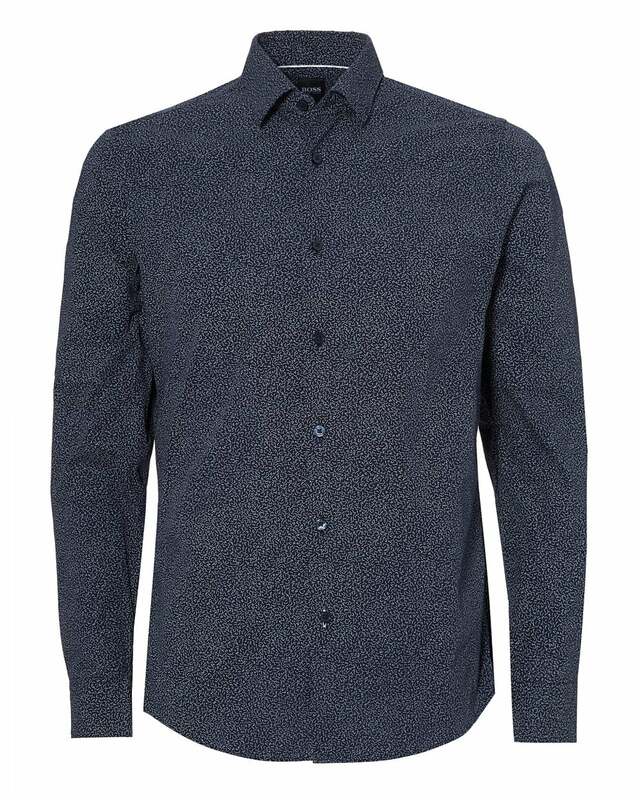 Make a striking addition to your formal wardrobe with this BOSS Lukas F shirt. This cotton-crafted shirt comes in a stylish pattern of a fashionable shade of blue. Perfect to pair with a blazer.